I love design, I love print and I absolutely love great photography. But sometimes itâ€™s embarrassing that I take horrendously shoddy photos of our print and post them online. I turned to my photographer mates on facebook this week and asked them for a few words of wisdom on photographing print with an iPhone. Turns out the answers I was looking for were two fold: Lighting and Post Production. Lighting I was moderately aware of. In Winter, indoors and with harsh LED lights, it might be difficult to get â€œgoodâ€ lighting arranged. But it can be done. The most embarrassing thing was being told to post-edit my images. 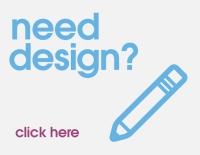 Yesâ€¦..I do have a design studioâ€¦and a brain. I had always expected to get better photos straight from a camera rather than having to post-edit them, so being told this is pretty much a standard requirement blew my mind. Yes, I should have known. How silly of me. Anyway, the images taken and used since being mercifully told I was a crap photographer have been a million times better. You can see some of my fantastic work over on our facebook page or just scroll down a little bit more.